Corio Veterinary Clinic was established in 1978. We are a modern well-equipped hospital, with a caring and experienced team of veterinarians and nurses who are committed to providing the best care for your pets. We are able to offer a wide range of services including consultations, desexing & microchipping, elective and emergency surgery and home visits. Our surgical and medical equipment is kept well up to date to enhance quick and effective treatment of your pets. With good advice and professional care, we strive to give your pet the best ongoing health care. Our Lara Veterinary Clinic was opened in 1983 to cater for the ever expanding population of Lara and the surrounding districts. The Lara clinic provides a full range of services to our clients and their animals, with extended hours in the evenings for those owners working in Melbourne and travelling home to Lara. We aim to make your pet feel at ease in our Clinic with a caring and gentle approach to our treatments and consultations. With our modern computer system, all details of your animals histories are available at the touch of a button to both clinics, which are linked "on-line." Take a moment to meet our team and their own pets. We look forward to seeing you and your pet again at your next scheduled visit. 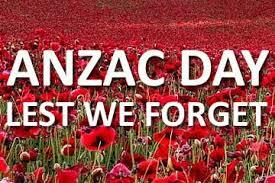 The Corio and Lara Veterinary Clinics will be closed for the Anzac Day Public Holiday on Thursday the 25th of April. Normal business hours will resume at both clinics on Friday the 26th of April. In the case of an emergency, please contact Geelong Animal Emergency on 5222 2139 located at 102 Fyans St, South Geelong. Please phone the staff to make an appointment to see one of our experienced Veterinarians. Corio Veterinary Clinic is open 6 days a week. Consultation is by appointment. Lara Veterinary Clinic is open 6 days a week. Consultation is by appointment.